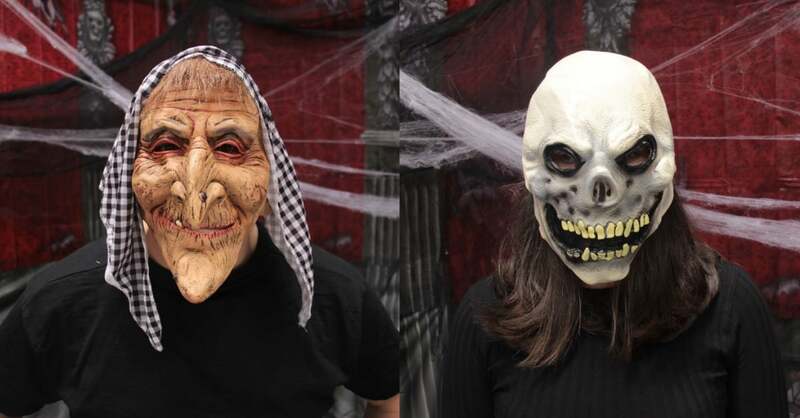 Halloween without a creepy air is practically nothing. From decorations to costumes and even recipes, there are plenty of ways to ‘spook’ up your Halloween holidays this year. 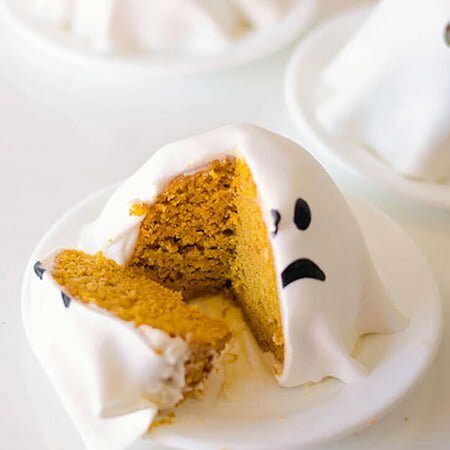 If you have already splurged on the décor and the costumes, there is no reason for why you should cut down on your budget and create your own delicious Halloween cakes. 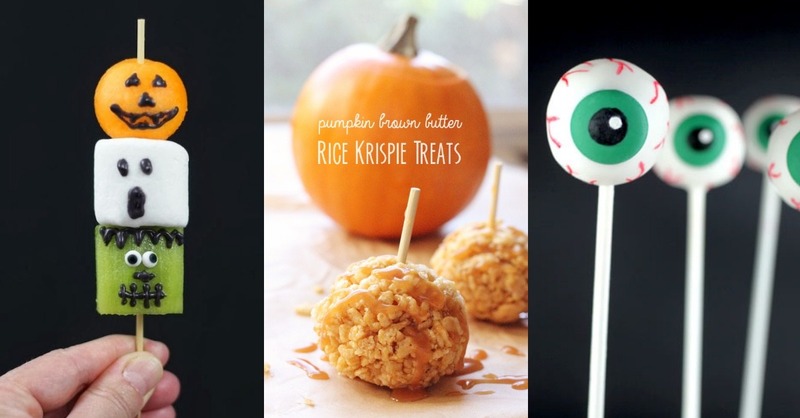 Not only are the following recipes incredibly easy to follow and certified to bring about the best scare, they also are incredibly decadent. 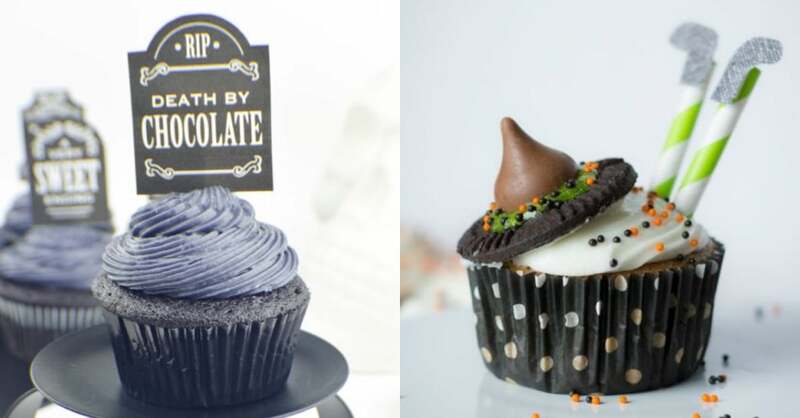 If you are looking for cake ideas for this Halloween, you came at the right place! 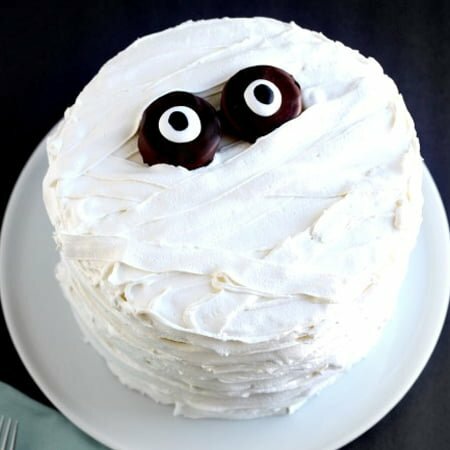 We have collected some of the best Halloween cake ideas for you that you can easily bake at home using these recipes. Who said pumpkins should only be used for lanterns? This scrumptious easy-to-make cake resembles a perfect pumpkin and is vanilla flavored. 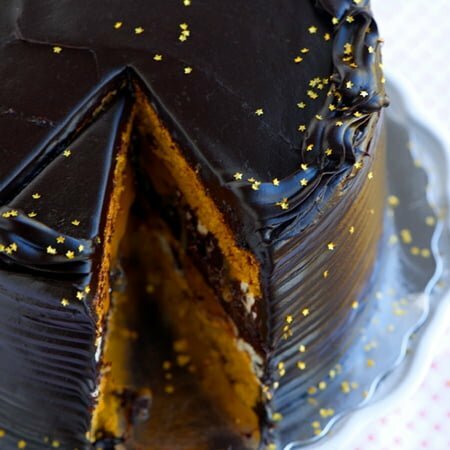 Since the cakes are baked in Bundt cake pans, it is easy to fill the hollow center with thick and rich chocolate ganache. You can garnish it with more chocolate ganache. And that is it, your delicious Halloween cakes are ready for consumption. This is the ideal cake to make if you are short on time and patience. Whether you prefer working with multiple layers or just a pair of them, it does not matter because this decadent cake will be entirely covered in frosting. The batter incorporates chocolate chips (lots of them). The frosting can be applied using any tools, however, a ruffle tip icing nozzle is preferred. For the eyes, you can use M&Ms, chocolate-dipped Oreos or whatever you deem fit. 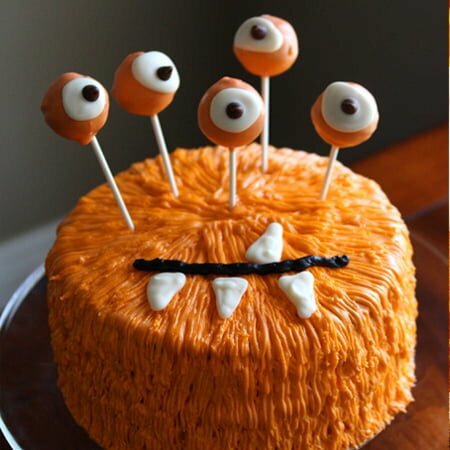 The Monster Cake is the epitome of creepy and easy all in one fell swoop. Combining cake pops and real cake, it brings you the best of both worlds. You can even have the kids come over and help you with this fun and easy baking project. The end result is absolutely stunning. 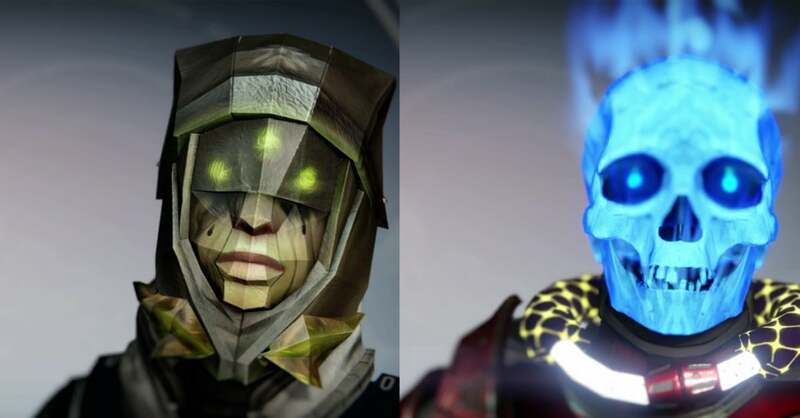 You can mix up the colors to create an even creepier monster. 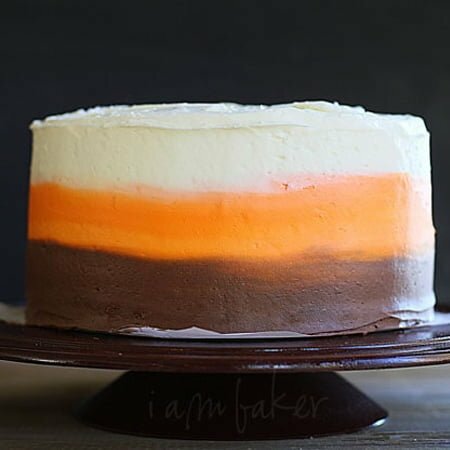 This triple C cake is inspired by the delicious candy corn (the ones with chocolate bottoms). All you need to make this signature scrumptious recipe is frosting in three colors or flavors: brown or chocolate, orange or orange and white or vanilla. You will not need any fancy icing equipment, a simple off-set spatula will do the job just fine. Who does not love red velvet cake? 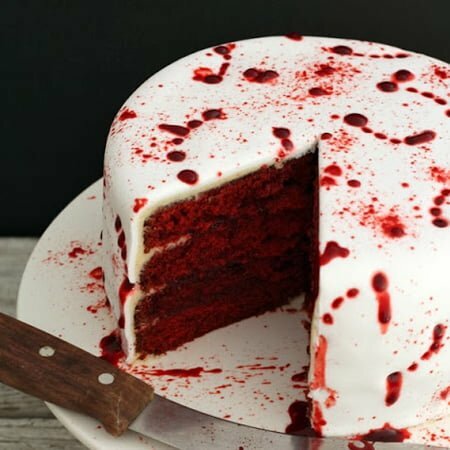 This innovative vampire themed red velvet cake is befitting for the perfect Halloween. Covered in white fondant and sprinkled in oozy gruesome raspberry sauce, it makes for a stunning dessert on Halloween night. What could possibly be better than cake and trick-or-treating? 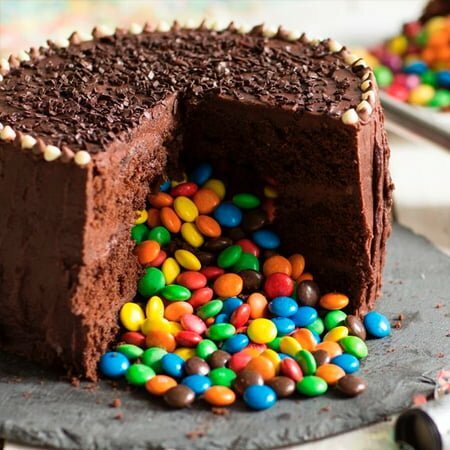 Instead of reserving all the candy to give away, stuff this gorgeous chocolate piñata cake with it. Once you slice into this decadent delight, the candy will spew out like creepy tales by a campfire. This is easily a cake that would do Morticia Addams proud. 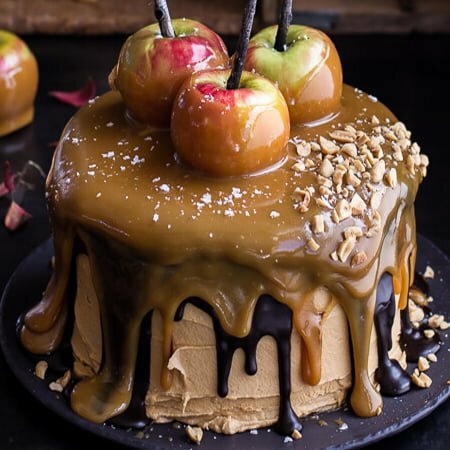 Absolutely swoon worthy, the salted caramel apple snickers cake combines the rich flavors of the crisp autumn into one ginormous cake. Not only does it look spiffing on the dinner table, but it will enrich your Halloween holiday all the more. 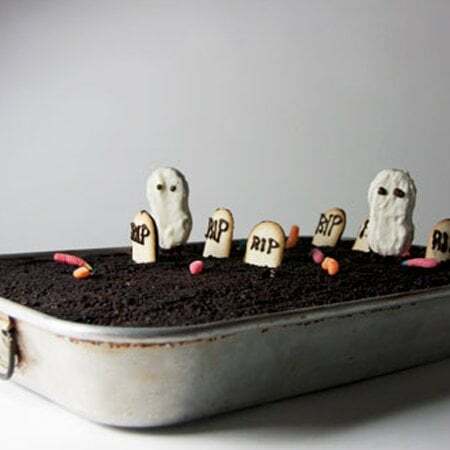 If you are running out of time and ideas to make a fast, gorgeous and delicious Halloween treat, then the Graveyard Cake will be the answer to all your worries. The simple design compliments the simple method involved in creating this cake. The best part is that is incorporates plenty of Oreos, too. Are you a fan of cheesecake? 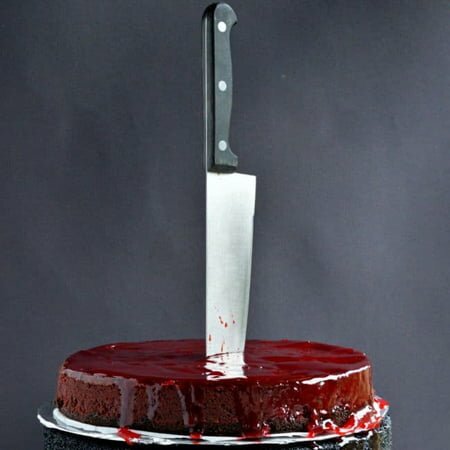 How about a bloody good cheesecake? Spooky yet fun to make, whipping up the Bloody Good Cheesecake is quite literally a piece of cake. Blending the rich flavor of chocolate with cream cheese, every bite will effortlessly melt in your mouth. Nothing screams Halloween vibes like pumpkin spice cake does. The dark and glossy chocolate frosting will have you digging in for more. Psst, there’s a secret layer inside: salted caramel. How badly do you want this monstrous cake now? Gore never tasted to sweet. No, for real though, this cherry cake gives a whole other meaning to bloody guts. The pileup on sweet candied cherries makes for the perfect illusion of a gutsy cake. The best part is how gorgeously it contrasts with the white cake and frosting on the inside. Can you hear the trapped ghosts wailing? These creepy (or adorable) meringue ghosts stuck in salted ganache make for the ideal embellishments for a creepy Halloween treat. Another decadent pumpkin flavored cake on the list, it seems like this is the idyllic flavor this holiday. Would you fancy delving into a haunted forest this Halloween holiday? Well, why do that when you can dive into one instead. 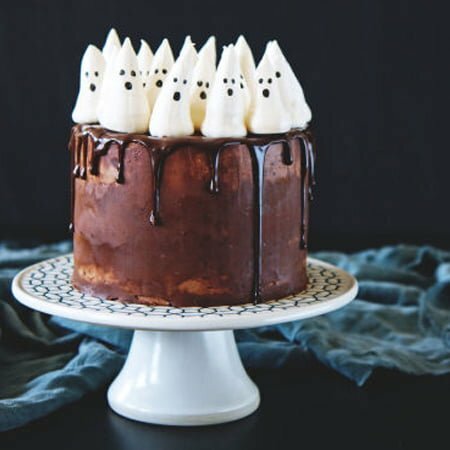 This chocolate cake is a ghost hunter’s fantasy dessert. 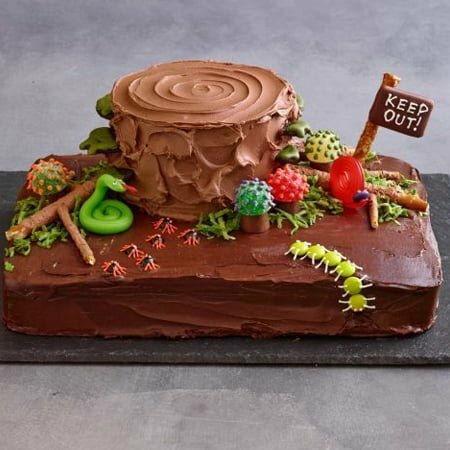 Why not make the whole family satisfied with some chocolate haunted forest cake and creepy ghostly tales to go with that? 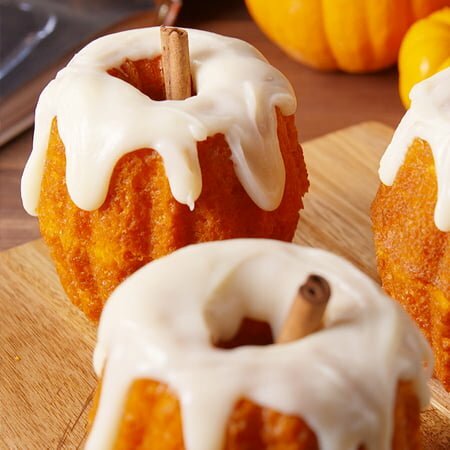 These ghost cakes pack a punch of flavor with pumpkin spice. 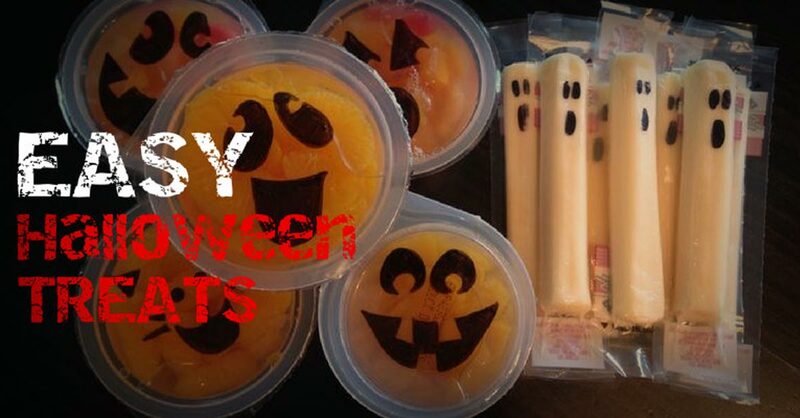 More adorable than spooky, they make for the perfect addition to your table this Halloween dinner. Do not hesitate in making some of these as they are a sure crowd winner. 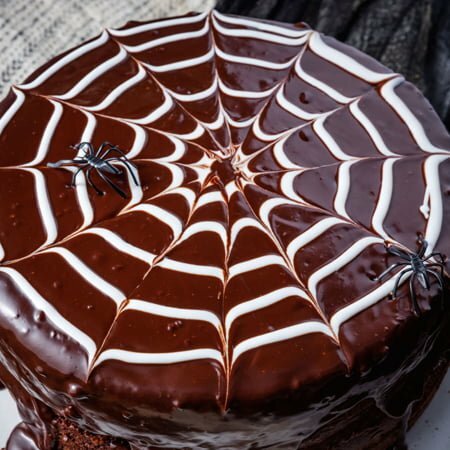 The Spider Web Cake is just about the easiest Halloween cake you can make at home. The recipe calls for a cake of the flavor of your choice, although chocolate is recommended. You can work with multiple layers or a single-layered cake. 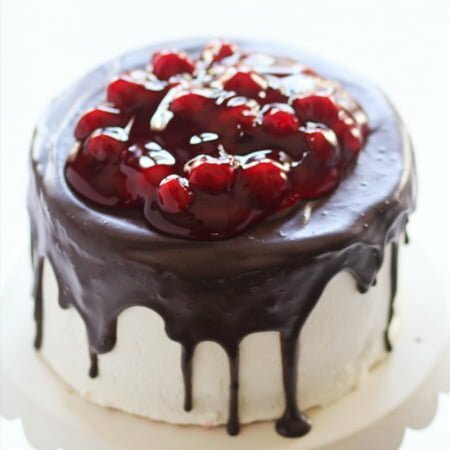 Once the cake cools down, generously top it with chocolate ganache and swirl white icing or ganache in the middle. Make use of a toothpick to create the spider web. 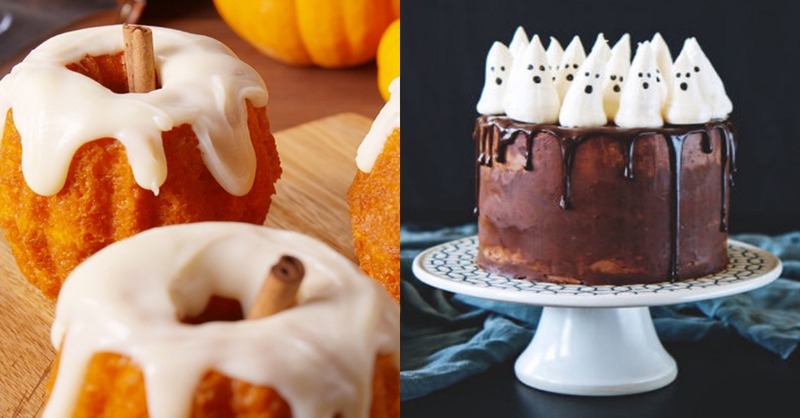 You are surely going to win a lot of hearts (and tummies) with this extraordinary collection of delicious Halloween cakes. They are incredibly easy to make and will leave your guests wanting more. Also, they are a great way to entertain the kids. Let us know what you think about our collection of these superb Halloween Cakes, our team would be glad to help you this year!